The Entertainment Grounds at Gosford invites you to commemorate our veterans at the ANZAC Raceday this Wednesday, on what will be a bumper day on and off the track. Racing on your home surface is always a key advantage and local Gosford trainers are well represented throughout the card. Race 1 - 12:30PM GET UP WITH GAWNDY & ASH POLLARD MAIDEN PLATE (1100M): Jim Louizos saddles up the lightly-raced Danzibar Dancer, and with currently only five runners in the field, race tempo will play a major role in the outcome. Bjorn Baker and Kris Lees have two well-bred debutants accepted, and it will be a very interesting watch to kick off the day’s proceedings. Race 3 - 1:39PM COMPLETE ROOFING WAREHOUSE PROVINCIAL & COUNTRY MAIDEN HANDICAP (1100M): The locals have a third of the field here, with Dominica (Kylie Gavenlock) and Dancing Phryne (Gilbert Slattery) both genuine chances. Dominica debuts following a handy second in a trial here on April 10. Dancing Phryne was a dual acceptor for this meeting with Slattery opting for this event, and she resumes after some promising runs last preparation. Tony Newing has engaged Twosoxon and will be hoping to improve off his last start eighth at Wellington on April 7. Race 5 - 2:49PM SEA FM BENCHMARK 60 HANDICAP (1600M): Fresh off a dominant 3.3 length victory at Port Macquarie on April 13, Kylie Gavenlock’s Wild About Her is set to be very competitive in the fifth race. By Big Brown out of Once Were Wild (winner up to 2600m), this 3YO filly is bred to get over ground and the step up to the mile shouldn’t pose an issue. Tony Newing has lightweight hope Solicitation engaged, coming off two solid placings at Tamworth and Wellington. Race 7 - 4:04PM SURETHING METAL ROOFING CLASS 2 HANDICAP (1200M): Newing will be looking for some better luck with his 4YO gelding Social Pirate in the penultimate event. Having run third at his past three outings, and beaten less than 3L combined, he’ll be willing Tegan Harrison to find a nice spot in running from gate seven and finish a couple closer on his home track. Race 8 - 4:39PM OUTDOOR ELEGANCE BENCHMARK 66 HANDICAP (1100M): Angela Davies has an incredible strike rate of late with 11 winners over her past 50 runners (22%), and she’ll hope to add to this tally when Sir Magic resumes in the last. This 5YO Magic Albert gelding has previously won fresh, and has also saluted on his home track here at The Entertainment Grounds. Apprentice Chris Williams takes the reins and provides a well-needed weight relief of 3kg to get him down to a manageable 59.5kg. 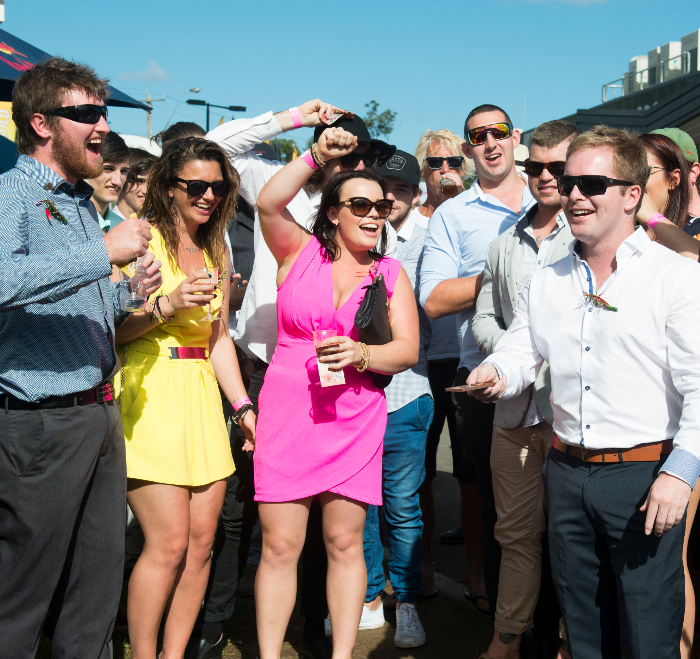 Come along to the annual Hit 101.3 Sea FM ANZAC Day race meeting at The Entertainment Grounds and enjoy live races, live music, two-up, kids entertainment, VIP Beer Garden marquee, craft beer, food trucks and more. Gates open at 11am with the first race scheduled for 12.30pm.